Student accommodation with a new Porters’ Lodge, lecture theatre, and classrooms (Kohn Pedersen Fox, 2007). 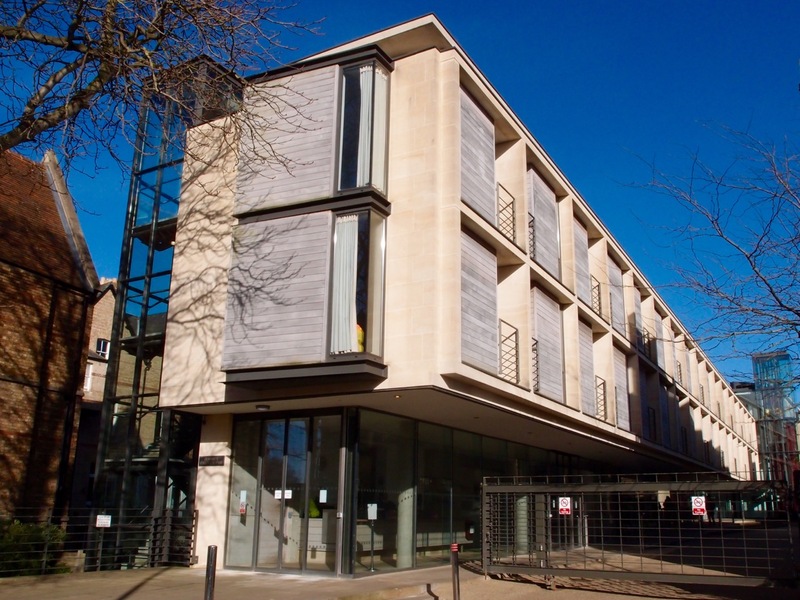 A large, linear building, perpendicular to Woodstock Road, this is a residential block providing 110 student rooms and the other facilities listed. The understated Porters’ Lodge replaced that in the Brutalist entrance building of 1966 by Howell, Killick, Partridge and Amis (demolished 2015). The new block lies parallel to Hartland House (1940) by Giles Gilbert Scott, forming a new ‘street’ space at the heart of the college site. 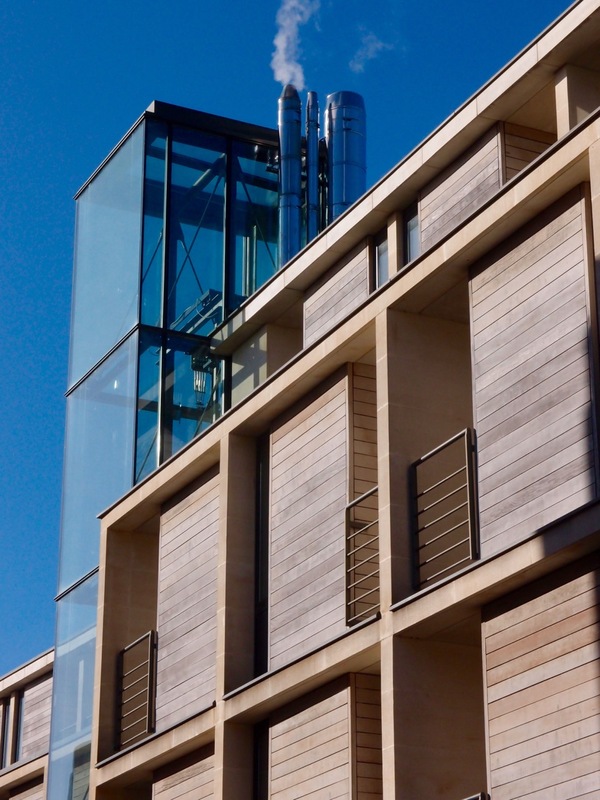 The south elevation, facing the Scott building, is a stone-clad concrete grid of individual student rooms, firmly screened by timber-boarded panels, and interrupted in the middle by a glazed lift tower. 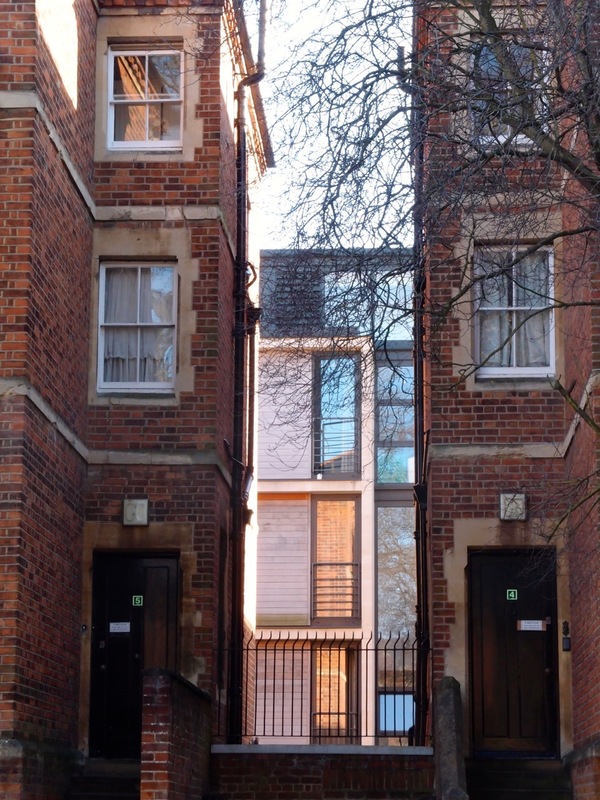 To the north, a garden court area separates the building from Victorian properties on Bevington Road, where the elevation is more fragmented to respond to its context. The entrance lobby for the lecture theatre and classrooms is off the ‘street’ side.